I use this setup to automate the addition of new entries in Day One by saving text files via Drafts to Dropbox. You lose the location and weather info, but those can be manually added. The Mac app doesn’t even support them yet anyways. Since the Drafts setup is optional, I’ll save that for the end. The Day One CLI allows you to interact with Day One behind the scenes. Using Hazel, you can automate the process when new files are added to the watched folder. By doing this using Dropbox, you can save new entries from any Dropbox-enabled text editor. /usr/local/bin/dayone -d="$(GetFileInfo -d "$1")" new < "$1"
Day One requires some particular file name titles for the import to work properly, and this avoids having to have the date and time in the entry itself, which doesn’t import nicely when using the CLI. To integrate with Drafts, you’ll need to save the text files with the proper naming convention for Day One to pick it up and import it correctly. With Drafts’ templates, this is a breeze. Because of this, I find Drafts to be the ideal way to add new entries. But this could be done with any Dropbox-enabled text editor. But you’ll have to manually add the titles in the proper date/time format. That’s it. Now you just set up Hazel to watch the folder where you’ll be storing your journal entries (in the screenshot you’ll see I’ve used “/Dropbox/Apps/Day One”), and have Hazel run that shell script. echo "## $FILENAME_TRANSLATED: $FILE_CONTENT" > "$1"
All you need to do is activate NV, run the TextExpander snippet for the date/time for the title, hit return, type your entry, and hit Esc when done. It’ll get added to Day One, and if you set up the other shell scripts to add to the Journal.txt file, it’ll do those too. And now you’re a nerd! I’ve mentioned this in earlier posts, but the reason behind all this nonsense is to avoid being tied to one app. I love the idea of the plain-text log file, but I like viewing my entries in Day One. This way, I get both. It’s also MUCH faster to save thoughts this way, rather than launching the app, hitting new, etc. On the iPhone, I can quickly launch Drafts, write my entry, export using the Day One action, and it’s all done. I get the note in Day One, and the entry added to the plain-text log file with the date/time stamp format I like. Same on the Mac with the NV setup. The other thing I’m doing is adding other stuff to the Journal.txt plain-text log file via IFTTT, which can’t be done with Day One. The Momento app does something very similar (and even exports in plain text), but adding manual entries is again a pain. I feel like eventually I will ditch all these apps for plain text, but I learned a few things setting all this up and it was a fun geek project for a few hours. I’ve just gotten so used to working with Drafts that going back to apps with multi-step interfaces for adding entries just leads me to stop journaling again. Plain text (and Drafts) makes it dead simple, and more likely to continue. George, did you manage to get the CLI to import with the correct time stamp? If you follow my naming tips for the txt file, CLI will use that for the time stamp. You can also specify the time in the entry body, but I prefer this method. The Day One devs recommend exporting an entry to text file so you can see how the entry is parsed. Let me know if that helps. Hi George – I’ve got a ton of text files that I’m trying to import into Day One 2 with Hazel. I’ve got all the next files named properly with the date format you show above, and the shell script does bring the entry into Day One, but the date of the entry in Day One is the creation date of the file, not the file name. I’m suspecting that the import process changed with the second version of Day One. DId you run into this as well? Thanks for the great post. I took a quick look at the new Day One 2 CLI, and it looks like they revamped it. I don’t use Day One anymore. Did you try exporting an entry to a text file to reverse-engineer it? The new CLI seems to have a bunch of new commands, one of them a date command. It’s very possible the dates are no longer required to be the filename. If so, you may have to specify them somewhere in the text file contents. I’m guessing if that’s the case, and that info is not included in the txt file, the CLI defaults to the file’s creation date. 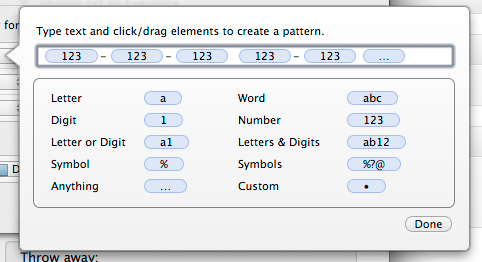 I’d suggest exporting an entry from the app to text file, and see if you can find any patterns. Maybe email the developers and point them to this post. Perhaps they can help you out.